Former eight-division world champion Manny Pacquiao 59-7-2 (38) has hit back at claims that next month’s clash with WBA “regular” welterweight champion Lucas Matthysse 39-4 (36) is on the brink of collapse after rumours in the media this week suggested there are numerous financial issues with the promotion that need to be ironed out in order for the fight to proceed. Pacquiao’s MP Promotions is running the event, which is due to take place at Axiata Arena in Kuala Lumpur, Malaysia on July 15. 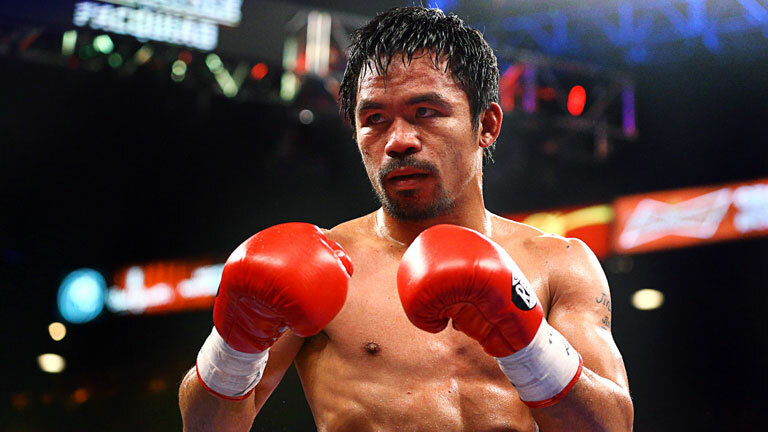 The popular Filipino’s long-time promoter Bob Arum, who is handling the US television distribution for the fight, voiced his concerns for the promotion this week to ESPN.com. ESPN reports that MP Promotions have missed a number of financial deadlines for the fight. After an initial payment of $500,000 to Golden Boy Promotions to go to the Matthysse camp once the fight was signed, the rest of the money for the Argentine banger’s purse (rumoured to be $2 million) remains unsighted despite a deadline for it to be deposited in an escrow account passing more than a month ago. In addition to this, MP Promotions have missed other deadlines to deposit funds to cover various production costs. As a result, the fight that was originally intended to go to pay-per-view is now expected to be broadcast on either the ESPN+ app or ESPN in the United States – but even that remains to be finalised, says Arum. Still, Team Pacquiao insists that there’s nothing to see here.